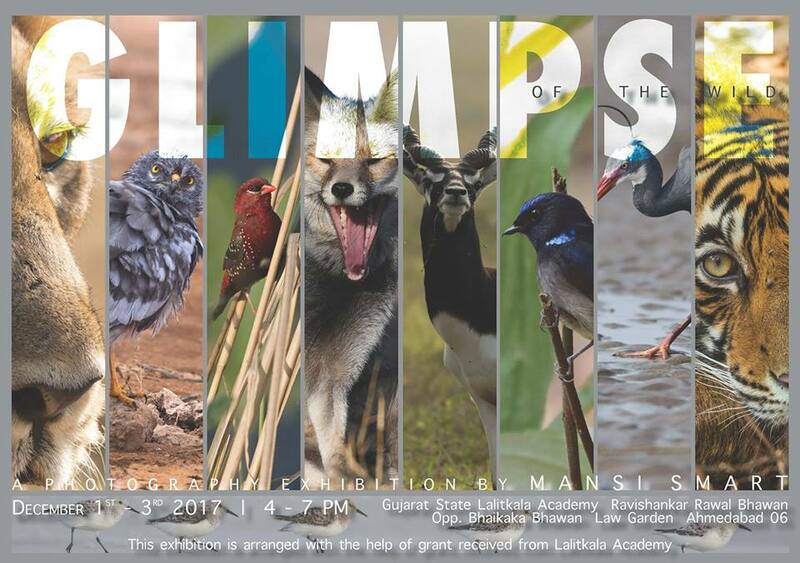 Glimpse of the wild is a photo journey of Mansi Smart, who chose to explore the captivities of nature. The exhibition revolves around the wildlife from the various habitats of country. Mansi Smart is a nature lover and passionate environmentalist. From a tender age photography was a hobby until it grew on her, and soon became a passion. She believes photography is a window of her understanding the wildlife and nature. Hence, her photography goes beyond capturing moments, and becomes a representation of her experiences during the process. With this set of display she would like to touch upon the need of saving the wild, and conserving their habitats. “Glimpse of the Wild” is a collection of photographs captured across the habitats displaying the inhabitants. The images shall connect you with the quick preview of ecosystem of India.